You are out of the team for more than a year. You want to return. You are trying hard. You are in the middle. You are playing a great knock, your best ever in the first-class cricket. You score a triple hundred and remain unbeaten till the end. There is a meeting fixed with your board's new director of cricket who is co-incidentally your former teammate, just a day before his first press conference after his appointment. "Are you watching Andrew Strauss?" shouts the crowd. The thought crosses your mind several times. You want your place back. You want it badly. Incoming ECB chairman told you to score some runs in county cricket to prove your point. That's why you are here playing in the County Championship instead of the cash rich Indian Premier League. Money isn't your priority. Hours later, in a 40-minute meeting, you are told you would not be considered in short-term i.e. untill after the summer's home Ashes series. In his first press conference ECB's new director of cricket cites 'massive trust issue' for Kevin Pietersen's England exile. Seriously Andrew Strauss? Since when 'trust' is winning you games? It's always runs or wickets. It's always collective performance of those 11 individuals. In my opinion, performance should be the only criteria of selection. Always. Other issues are secondary. If you can't put your personal differences aside, you shouldn't have taken the job in the first place, you are simply not doing any justice to your appointment. It's not about you two, it's about your team, it's about those crazy fans. There are personal differences between people in every field of life whether it's sports or business but they make compromises to achieve greater goals. They are called 'professionals' for a reason. Guess, Mr. Strauss hasn't heard about the term. What he has said is actually childish. Strauss could have told him to continue with his good work and if there is a place in the team, they will do whatever is in the best interest of English cricket at that time. But no, this 'trust' thing is important. Performance doesn't matter. Not saying Kevin Pietersen is not at fault at all but now that he is among the runs and is ready to compromise, what's stopping them? What happened to those words by Incoming chairman Colin Graves? Geniuses like KP are not born everyday. They are a special kind and need special treatment. You can't bind them with rules. Sadly, the ECB has failed to understand it and didn't handle him properly. It's not only that English cricket is going to suffer from this decision, cricket in general too, especially the longest format. Test cricket needs characters. 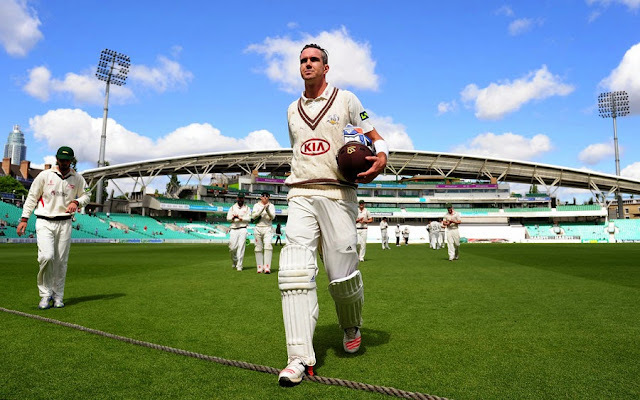 It needs crowd pullers like Kevin Pietersen. The England and Wales Cricket Board has short changed the paying public again. We all know, Kevin Pietersen will not fit in ECB's long-term plan because of his bad knees. This was probably his last chance to play at the highest level. That cricket fans might never see this genius cricketer bat again in a Test match is a great tragedy of the modern day cricket.